Mothers Union is a worldwide group that brings together all Anglican Women. The organization was founded by Mary Sumner in 1876 in the Church of England, Parish of Old Alresford. Her husband was rector of the parish. She was inspired to start the movement after the birth of her first grandchild. Remembering her own difficulties when she was first a mother, Sumner wanted to bring mothers of all social classes together to provide support for one another and to be trained in motherhood, something she saw as a vocation. 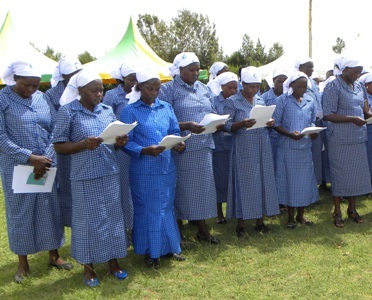 In the Diocese of Eldoret, Mothers Union has a vision, Mission, Core Value and Goals to be achieved within a stipulated period of time. The main mission is the advancement of Christianity in all spheres of marriage and family life. The past and present coordinators have also worked very hard with the Mothers’ Union to ensure that mothers were well trained in the parishes. The Mothers’ Union workers (the Coordinators) were initially funded by the Mary Sumner Foundation in contrast to today where the functions of Mothers’ Union including salaries are funded by the Diocesan Mothers’ Union. The past coordinators were Mrs. Elis Bett and Mrs. Mary Kiiru, Mrs. Leah Maiyo who worked together with Mrs. Evelyn Sugut. 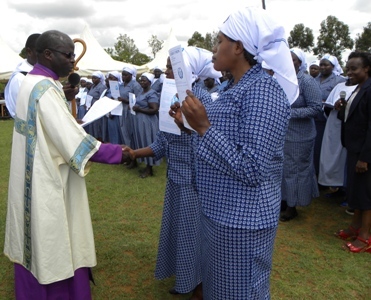 These workers are remembered in all Parishes within the boundaries of the Diocese of Eldoret for their vibrant work, commitments, humility and diligence when performing their duties. 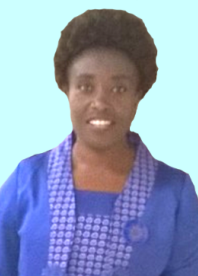 The current Coordinator who has followed in the footsteps of her predecessors is Mrs. Florence Limo. The legacy left behind by former and present coordinators has been an example to be emulated by mothers and the Christian families of this diocese can attest to that. The vision and objectives of Mothers Union has been achieved through the commitment and vibrancy of the said coordinators both past and present. Although funding from Mary Sumner is no longer forthcoming, the little income from the Mother’s Union kitty is able to sustain the two workers and the running of the office. The coordinator Mrs. Florence Limo is working hard to ensure that mothers are well trained on their roles as mothers in the church, community and family. Also, the committees led by Chairladies always ensure that Meetings, Rallies and Conferences are done as stipulated in the program.